2012 March — I See Hawks in L.A. When You Awake: I wanted to start off by asking you about the new album, of course, which is a mostly all-acoustic collection of songs, the first one you’ve released in your long history as a band. Was there a particular reason for doing it now? Paul: Several of our earlier recordings started off acoustic, but we could never resist the lure of the pedal steel and Telecaster. This time we took a vow of no electricity, and managed to go cold turkey. Scary at first, then quite rewarding. WYA: I remember the first time one of our mutual friends, Doran, told me about you guys playing a longtime residency in the basement of Cole’s Bar, 6th and Main, east of downtown L.A., often with fiddle player Brantley Kearns (ex-Dave Alvin’s and Dwight Yoakum’s bands) sitting in on a regular basis. Is this new album in any way an attempt to recreate or recapture those Wednesday night shows? Los Angeles’ reigning kings of Cosmic American Canyon Country Rock must be easing into a comfy chair atop a shag carpet right about now, enjoying a smoke and a toke as they celebrate their sixth release, New Kind of Lonely. Continuing the tradition of mellow, Folky-Psychedelia, paired with warm vocal harmonies, the group’s dynamic brings chief-songwriter, Rob Waller’s, rich, illustrative, socially poignant lyrics to life again with a sound only they can produce. Long at the top of hill of the local batch of folk infused country rock bands that re-sparked in the canyons over a decade ago, I See Hawks in LA prove with New Kind of Lonely, why they are so beloved and also why lyrically, they stand for something larger than themselves. Musically, there’s no denying that the Hawks have honed a tight bond over their twelve years as musicians and brothers, with Paul and Anthony Lacques forming one of the most consistent and cohesive outfits in the local genre. Longtime purveyors of what Gram Parsons called “cosmic American music,” I See Hawks in L.A. go all-acoustic for their latest, called New Kind of Lonely and due out March 6. It’s lovely, beautifully harmonized stuff (with some sweet fiddle action by Gabe Witcher of Punch Brothers), but what distinguishes the record from others by any number of history-conscious roots acts is the Hawks’ taste for the less-than-lovely, as reflected in the title track, where Rob Waller recounts the time “Randy went out, got wasted with the boys, chasing skirts and getting hurt”; later, he spins a tale in “Big Old Hypodermic Needle” you don’t need me to unravel. Tonight they’ll celebrate the album’s release amid the appropriately instrument-jammed environs of McCabe’s, with former Lone Justice/X dude Tony Gilkyson as support. Driving east out of Bakersfield you see it long before you get there, the heat shimmer distorting lines and colors, and yet somehow it kind of sneaks up on you. One minute you’re in civilization, the next…nowhere. California’s high desert has inspired musicians from Gram Parsons and the Eagles to Ted Nugent and Queens of the Stone Age. I suppose it’s the way you feel so achingly cold and alone in the middle of a 100 degree sunny day. Or maybe it’s the carefree feeling you somehow experience in the middle of a freezing cold, moonless night when half the creatures you may run across can kill you. Emotions and circumstances between Mojave and Barstow carry no relation to each other and reality blurs. That’s the conflict I See Hawks In L.A. has managed to capture in their latest release, New Kind Of Lonely. Known both to fans of the jam band scene and to country music fans, I See Hawks In L.A. is a Los Angeles-based band that features excellent vocals and songwriting. And what’s more, these guys are damned good musicians. Their new CD, New Kind Of Lonely, is an acoustic album. Fans of Wilco and Son Volt should take special notice of this CD, particularly because of the vocals. The acoustic work makes this one feel intimate. The band was formed in 1999 by Bob Waller, plus Paul and Anthony Lacques. When this album was recorded, the core members consisted of guitarist/lead vocalist Waller, guitarist/dobro player Paul Lacques, and bassist Paul Marshall. They are supported by fiddle player Gabe Witcher, banjo player Cliff Wagner, drummer Dave Raven, and accordion player Richie Lawrence. 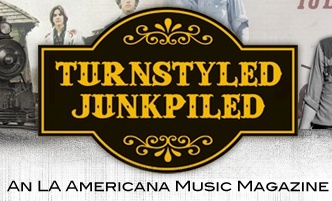 The group has released five albums of what can be best defined as psychedelic/electric alternative country music. The guitars were the prominent instrument, with a thumping rhythm section in support. Their sixth album, A New Kind Of Lonely, travels in a very different direction. The band’s acoustic sets have always been well-received, so now it has recorded just about an all-acoustic album, with only a dash of electric bass. The acoustic guitar sound of Waller and Lacques is now more subtle, as the fiddles, banjos, stand-up bass, and accordion take the overall sound in a more traditional country direction. What remains intact are their incisive lyrics, which deal with the environment, death, loss, and scathing social commentary. Also still present are the exquisite three-part harmonies which add a shimmering glow to their sound. I See Hawks In L.A. plays Friday night at McCabe’s Guitar Shop in Santa Monica. Have you been Lady Antebellum-ed to death? Sugarland-ed within an inch of your life? Band Perry-ed until you can’t think straight? In other words, assaulted with so much pleasant pop-country, you can’t take it anymore? Well, pardner, sounds like you need to be de-programmed. Mosey down to McCabe’s Guitar Shop on Friday and check out I See Hawks In L.A. These dudes do not wear cowboy hats or string ties, nor do they have southern accents. But they possess the spirit of country, more authentically than just about anyone else out there.